Google has begun integrating Google+ into search results with public Google+ posts now appearing in Social Search. Whenever a user publicly shares a link on Google+, an annotation will show up under that link when it appears in a friend’s search results. For example, if I share a My Blogs article about Google+ eliminating pseudonyms publicly on my Google+ page, users who have added me to their circles will see a note that I shared that link if they stumble upon it in Google Search. 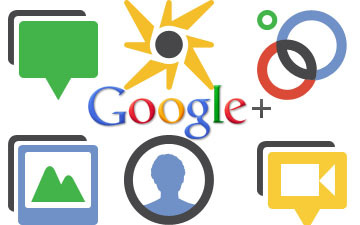 Google+ now joins Flickr, Twitter, Quora and Google Buzz as other inputs for Google’s Social Search product. Social Search debuted in 2009 at the Web 2.0 Summit, partly as a response to Bing’s integration with Facebook and Twitter. Social Search highlights what links your friends are sharing on the web and returns results it believes are relevant based on your friends’ interests. Social Search integration is only the beginning for Google’s plans for combining its search engine and social network. Google intends to revive real-time search with Google+ data and will launch a search engine for Google+ posts. Of course, the tech giant did the same thing with Google Buzz, and we all know what happened to that product. Do you think Google+ makes Google Search a better product? Let us know what you think in the comments.